The next administration will have a very long list of challenges. Racial justice ought to be at the top of the agenda. 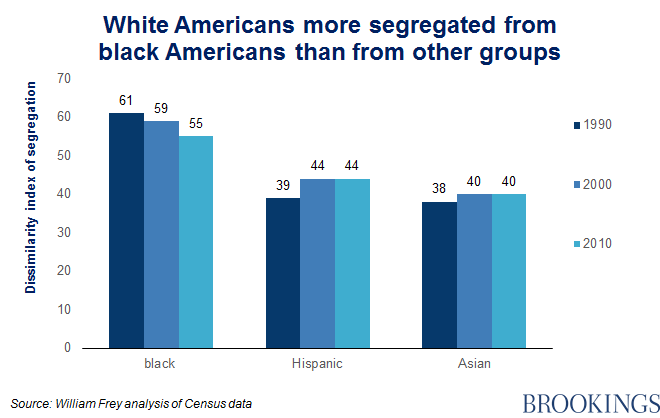 The average black American will be just as far behind whites in 2017 as they were in 2000 in terms of income, wealth, unemployment, earnings, most health disparities, and the risk of incarceration. In the last couple of decades, progress towards equity for African Americans has effectively come to a halt. In a new paper, “Health, housing, and racial justice: An agenda for the Trump administration” (PDF), Economic Studies Senior Fellow Richard V. Reeves and Center for Health Policy Visiting Fellow Dayna Bowen Matthew argue that the Department of Health and Human Services (HHS) and the Department of Housing and Urban Development (HUD) have the most potent set of tools to achieve equality. 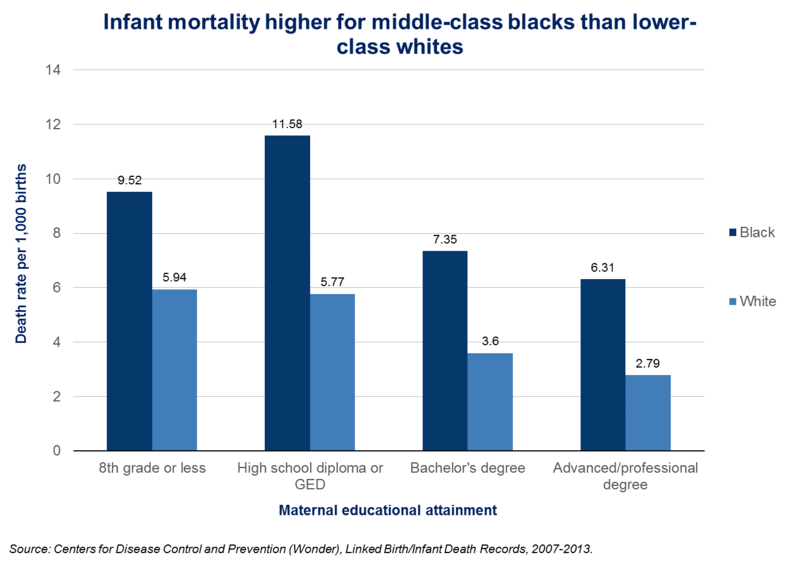 The authors review the numerous ways black Americans have been disadvantaged and how it affects their educational attainment, wealth, and well-being. Reeves and Matthew also suggest ways the new administration can address these problems on its first day. Many American cities and towns remain deeply segregated, with zip codes, neighborhoods, and school districts delineating racial divides. Even after the successes of the civil rights movement and the end of explicit government policy aimed at keeping black Americans out of white neighborhoods, a complex web of zoning ordinances in U.S. cities, decisions on where to build physical infrastructure, racial “steering” toward particular neighborhoods, and a disparity in access to credit for blacks have all contributed to a continued pattern of physical segregation in the United States. Unequal housing situations lead to inequality in education for black families, exposure to more crime and concerns over physical safety for children growing up in poor neighborhoods, as well as the wealth that is passed on in black families in terms of the value of home ownership. Incentivize housing authorities to form regional consortia. Cities should form a consortium of different housing authorities in the region to more effectively and simply deal with the needs of residents. Create a “Stop and Think” trigger for federal funding. The government should form a working group to assess the segregation in areas that receive federal funding and pause payments until more information is provided, forcing a moment of reflection. A new “model” template for integrated zoning. The President should instruct HUD, in collaboration with Treasury and Commerce, to draw up 21st century model templates for our cities, specifically aimed at opening up the supply of affordable housing and curbing segregation. Scale up “small area fair market rents” and expand mobility counseling. Broaden where voucher recipients can look for homes by scaling the value of vouchers with the going rate of rent in the area. A powerful complement would be “mobility counseling” that would help voucher holders find a new residence. Launch a “Let’s Live Together” campaign.” Shift attitudes and behaviors through a campaign modeled after Michelle Obama’s anti-obesity campaign. Through a similar Let’s Live Together campaign, the new administration could work to explode myths about integration, celebrate successes and promote positive change. Whatever the fate of the Affordable Care Act, the new administration must immediately confront the fact that expanding access to healthcare for nearly three million newly insured African Americans1 has not eliminated enormous morbidity and mortality gaps between blacks and whites in this country. Empower your agencies to work collaboratively to the full extent of the law. First and foremost, the new health and housing administrators must appoint and empower political leaders that are committed to fight health inequality to the full extent of the law. Use your combined influence to urge President Trump to issue a health equity executive order. Drs. Carson and Price should press the new President to issue a Health Equity Executive Order that would incentivize productive collaboration among the several existing agencies, departments, and task forces dedicated to reducing health disparities. The EO would articulate the new administration’s vision and commitment to a comprehensive federal framework for combating racial discrimination in public health, housing, and health care. As the 45th President takes office, it is clear that our racial divides will not heal on their own. It will take concerted, intentional intervention. The new President must face this racial reality. The concrete steps listed above are meaningful first steps the next administration can take in reducing racial inequalities specifically in housing and health. Read the full research here.